Johannesburg — #ICSL 2015 kicked off with a bang this past weekend with 20 games taking place over the course of the weekend. All divisions were in action with a few teams making a quick start out the blocks in what is sure to be tough a run to the playoffs. Now in its 3rd edition the ICSL has proved to be the toughest league in South Africa with the very best talent at all levels participating. For the teams that are now part of the furniture the intensity of the competition came as no surprise and that was best captured on twitter by both Neo Mothiba (Jozi Nuggets) – @NeoMothiba1 “Yo!! The @icsl_sa has no chill, first week and you hit the ground running” and Quintin Denyssen (Goodfellas) – @qd4 “0-100 real quick.” Both Nuggets and Goodfellas went 2-0 this weekend to set the pace after coming out tops in some extremely tough opening matchups. Goodfellas in particular were impressive in their 20 point come-back win against UJ Alumni and then a 112-119 over-time thriller against Phenoms that had all the drama deserving of an opening weekend. But perhaps the story of weekend is that of the ICSL expansion teams new to the rigours of the ICSL. On the women’s side Soweto Raptors and University of Johannesburg kicked off the ICSL season on the morning of 21 February. Raptors is a highly experienced team and all that experience was on display against a young UJ team that still has some way to go in developing their squad. The game pitted two coaches that are heavyweights of the women’s basketball game in South Africa and you can be sure that this is a rivalry that will grow in ICSL during the course of this and seasons to follow. The game ended 53-32 to Raptors but the story is not done. This was just the first chapter in ICSL’s women’s basketball with many more still to be written. UJ, I am certain are going to go back to practise and make sure the next chapter is theirs. It must be said, it’s refreshing to see women grace the ICSL and there is a lot of excitement about what the introduction of this division will do for the game generally. The return of superstar players like Pumla Sathula and Emma Ledwaba, still on duty with the national team at the Zone 6 qualifiers in Zimbabwe, is sure to add real impetus to the competitive nature of the division and make a meaningful impact to the development of basketball. We cannot wait. D2 Men. Ah yes….D2 men. This division is competitive on the stands before and after the game. That is not a typo. It is competitive on the stands. This is the trash talk division led in chief by perennial trash talkers Young Legends. One thing for sure they backed it up with some impressive performances against Scorpions and Shooting Stars winning 78-66 and 124-62 respectively. But hot on their heels is a well-oiled Tshwane Phantoms team that racked up huge wins against Momentum and Diepkloof Ball Addicts. The entire division is going to have their work cut out dealing with these two teams. Everyone wants to make the league though. And D1 is the league. To start with Rhinos always belonged. And they showed it. They were missed in 2014 but are part of the founding teams of the ICSL in 2013. 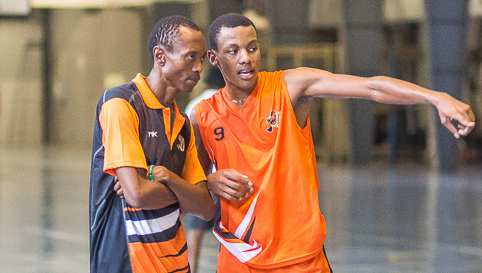 The other expansion teams in this division, Vaal University of Technology and University of Johannesburg, are powerhouses of South African basketball that have dominated the South African university basketball scene for years. These organisations have produced some of the best basketball players this country has seen and putting on those jerseys comes with a great deal of responsibility. Some of those ex-varsity players still ply their trade in ICSL but have a vested interest in the development of basketball in these schools. There really is no sleep for these guys. They have a lot to live up to and what they have to live up to they are going to face every other weekend. Listen to me youngsters, there is no sleep! Current ICSL superstars Neo Mothiba, Chief Ngoetjane, Tshepo Matsie (All ex-Vaal) and Thabang Glass, Lucky Loate and Angola Amogelang (all ex-UJ) will give them no rest when that time comes. But these are great franchises and they recruit the very best young talent there is in the country. They will learn quickly. If the work ethic is there then the talent will start to show. Both teams struggled on the weekend with Vaal going and 1-1 and UJ 0-1. Vaal had a particularly bruising defeat against MBB going down 103-58 and seemingly unable to cope with the demands of tough back to back games. This is a feature of the ICSL and the players are going to have to get used to lacing up every night. Money Mike Mukumbuta is not used to losing in a Vaal kit and you can be certain he will come back with a vengeance in the following games. 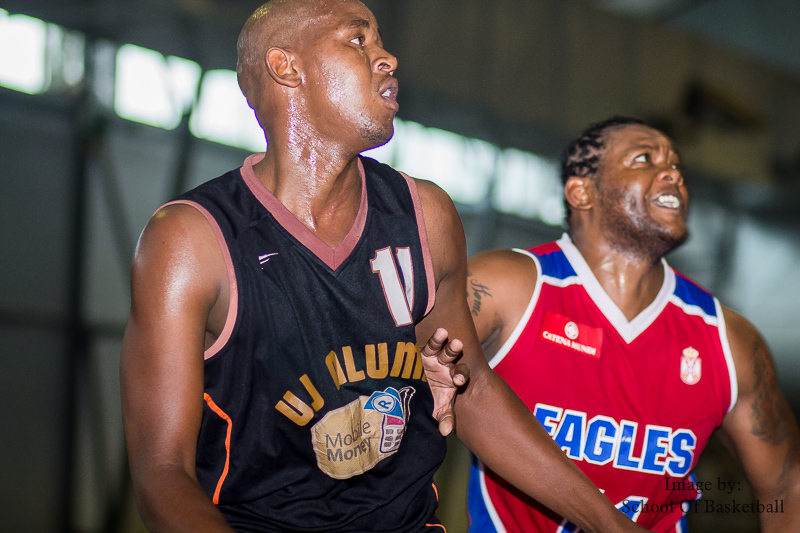 UJ struggles were against Braam Blues where they went down 56-45 in a low scoring contest. Both teams struggled to execute on the offensive side of the floor in what became a battle of attrition. There was a bright spark though in this game. His name is Skhumbuzo Mthembu. Talented. One for the future. Carried UJ all day. He is being done a disservice here because this will be a scouting report that makes people take a closer look and then get after him. Get used to it. Take it as a compliment. ICSL is going to be hard for you son. Step up. Get in the gym. You can’t hide. Don’t hide. We hope this young man puts in the work that will elevate him to the top of the ICSL pile in years to come. The varsities are freshly back so it will be good see them running out in the ICSL in a few weeks when the squads have had a couple of solid practises under their belts. Things may be different in a couple of weeks. The growth of the league and the game with it is well under way especially with the young and new talent which was plentiful in the expansion teams on exhibit over the past weekend. On display from 28 February to 2 March is the next batch of talent on show at the annual St Johns Tournament as ICSL takes a break until 5 March. When we come back the national team will have returned from Zimbabwe and with it a whole of host superstar players that will bolster their team line ups for the rest of ICSL. Hell if you didn’t steal wins against Goodfellas, Nuggets and MBB this weekend you messed up. Hell you messed up everyone up. For the new guys welcome to ICSL. For returning teams, welcome back!! One Response to "ICSL 2015 – Opening Weekend"